List of Best web Hosting companies in Kenya for small business, blogs, eCommerce, and business portals. I have been around the blogging industry for about 6 years and over the years i have learnt a lot on what works and what does not work in-terms of choosing the best domain registration and web hosting company. 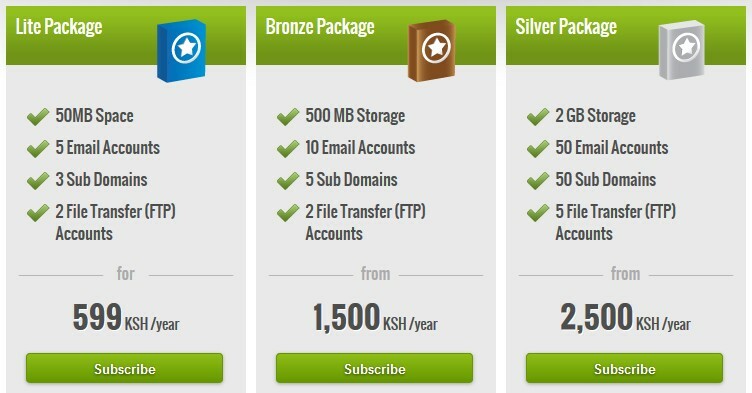 Some of the factors that you should consider before you choose your web hosting company in Kenya include: Disk-space offered, number of visitors per month (if they offer), Monthly Bandwidth, Virtual Memory Usage space, Physical Memory Usage space, and inodes. Do not be fooled with prices and offers that you see displayed on hosting companies websites. The cheaper a hosting company claims to be the higher the chances that it has hidden charges. NOTE: If you are interested in hosting your website out of Kenya. The Bluehost is the best choice. That is where most of kenyan top blogs are hosted. Bluehost offers free ssl. 1. WordPress.com Hosting-If you want your blog to run WordPress then WordPress hosting is the best choice. WordPress CMS has the best SEO tools. Visit Pressable to check its package. Pressable is a wordpress hosting company partner. Customers have their websites/blogs and mail hosted. Provide customers with the ability to provision email accounts for their employees online.